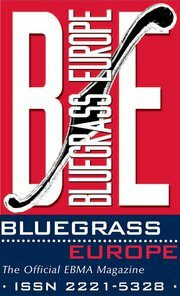 The editorial team of Bluegrass Europe, the official EBMA magazine, wish to remind all bluegrass bands and bluegrass event producers in Europe to send in not later than 10 June 2012 all dates for public gigs and concerts between 15 July and 30 November 2012 for inclusion in BE #84 (July-Sept 2012). The same deadline applies to all concert news, reviews, reports, and other material for this issue. Dates should be sent in the Excel format downloadable here or from the 'BE Dates' page of the EBMA website. Completed entries can then be sent to the BE editorial office by e-mail. And please check out EBMA's website - we have many things bands could be interested in. For example, if you are an active member of EBMA, you are entitled to a free listing in every issue of Bluegrass Europe in EBMA's Bluegrass Guide, and the same goes for the respective section on our homepage.